Due to the Terms & Conditions of GoFundMe, we cannot host any raffles, sweepstakes, giveaways, or returns on investment offered in exchange for donations. HOWEVER, we would still like to thank our donors for their contributions separately from GoFundMe once our fundraiser campaign has finished. Please continue to donate through GoFundMe at https://www.gofundme.com/roi-festival, otherwise donate to our Paypal, which can be found on this webpage: https://www.sanctuary-pa.org/donate. 사랑하는 식구님! 철장목회와 3대왕권섭리에 협조할 수 있는 절호의 기회를 소개합니다. 역사적으로 중요한 이 순간에 2대왕은 식구님의 협조를 필요하십니다. 이번 캠페인 기간 중에 $50 이상을 헌금하시는 모든 식구님께는 2대왕께서 직접 서명하신 “Rod of Iron Kingdom (철장 왕국)” 서적을 보내드립니다. 최고로 많이 기부해 주시는 120명의 식구님께는 아래와 같은 세가지 귀한 감사선물을 드립니다. 식구님의 모든 헌금은 아래와 같은 활동에 사용됩니다. 미국 달러가 아닌 통화를 이용한 헌금송금은 가능한 한 PayPal을 이용하시고 메모란에 영문으로 “Summer Fundraising Campaign”이라고 명기하시기 바랍니다. 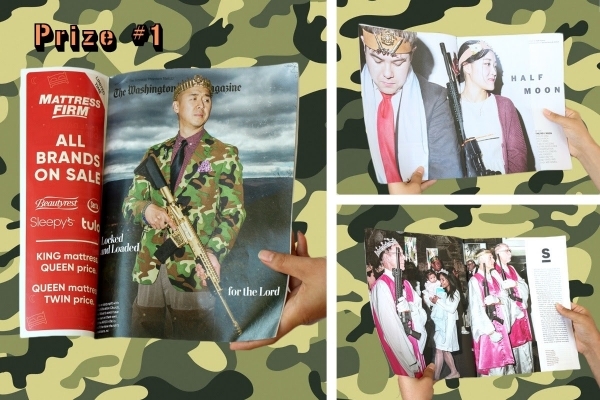 Original Washington Post Magazine featuring World Peace and Unification Sanctuary. This WaPo magazine is no longer in print and we only have 120 to offer to this fundraiser. Truly a historical treasure. 세계평화통일성전이 소개된 오리지널 “워싱턴 포스트 메거진”. 이 메거진은 완전 절판되었으며 이번 모금 활동을 통해 드릴 수 있는 것도 120부 밖에 되지 않습니다. 역사적으로 진귀한 가치가 있습니다. Signed Rod of Iron Kingdom Book. 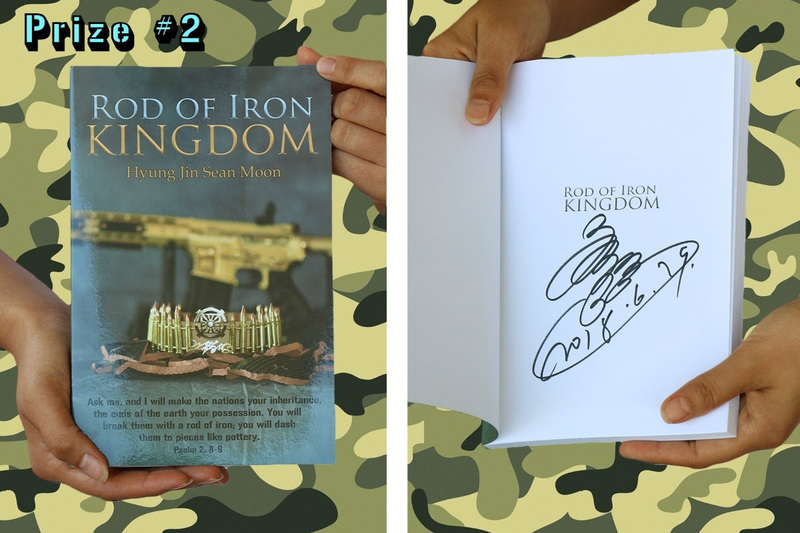 This book clearly spells out, from a biblical perspective, on why the Rod of Iron is absolutely necessary in securing God’s Kingdom. The first printing already sold out within weeks of publication. Many champions in the 2nd amendment community are hailing this book as a landmark piece. 2대왕께서직접 서명하신 “Rod of Iron Kingdom” (철장 왕국) 책. 이 책은 하나님의 왕국을 정착시키기 위해 왜 철장이 반드시 필요한가를 성경의 관점에서 명료하게 설명합니다. 초판은 인쇄 이후 몇 주만에 매진되었습니다. 총기소유의 자유를 보호하기 위해 애쓰는 사람들은 이 책의 역사적인 중요성을 간증하고 있습니다. Matted 11 x 14 WaPo Cover Print with signature from the 2nd King. This powerful image of the Second King leading the Christian community to battle against the forces of evil will be a great addition to your home. As the Kings says often: “Let’s make Christianity Brave Again”. The Top 120 contributors will receive these prizes. 최고로 많이 헌금하신 120명의 식구님께 위와 같은 증정품을 드립니다. 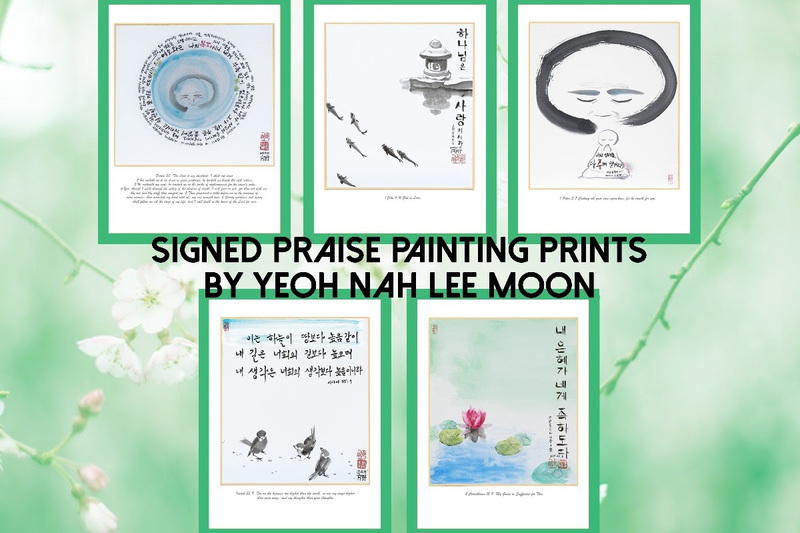 In addition, The Top 10 donors will receive a Signed and Limited Edition Print by Queen Yeonah Lee Moon ($95 value) as a thank you. 또 캠페인 기간중 가장 많은 금액을 헌금하신 10분에게는 왕비께서 그리시고 서명하신 한정판 그림 (95달러 상당) 한장을 드리겠습니다. Lastly, The Top 5 donors will receive all 5 limited edition and signed prints ($400 value). 이들 훌륭한 결작들은 왕비께서 2대왕을 모시면서 펜실베니아의 광야에서 생활하시게 된 초기시절에 그리신 것입니다. 각각 성경구절로부터 영감을 받도 만들어진 것입니다. 후세에 남기기 위해 각 100장으로 제작된 것입니다. 이 작품의 자세한 내용은 아래를 참고하시기 바랍니다. Thank you for all your sincere devotion, hard work and dedication. The King appreciates your support to build God’s substantial Kingdom of Heaven on Earth!!! 여러분의 모든 사랑과 정성에 깊은 감사의 말씀을 드립니다. 2대왕게서도 실체지상천국을 건설하는 하나님의 섭리를 위해 여러분이 보내주시는 모든 정성에 감사드립니다.